The unique properties of IMMERSIVE cycling mean a whole new audience of exercisers are heading for gyms to try it for themselves. Chances are, when you reach the end of THE TRIP™ and climb off your machine, you’ll under-estimate how hard you’ve just worked out. The combination of an immersive audio-visual experience and a carefully calibrated cycle program means your mind is as engaged as your body; your perception of time and the energy you are expending is affected without you really noticing. 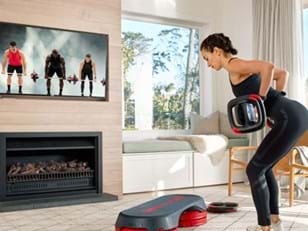 As Les Mills Immersive Product Manager Chris Richardson explains, other cycle classes will sometimes allow riders to dissociate from the workout because of the intensity of a music track or the way the instructor is teaching, but with THE TRIP another level of psychology comes into play. Others concur. Says one fan who is just getting back into fitness after injury, THE TRIP offers a less intimidating option than some other cycle classes. This identifiable effect saw THE TRIP taken from being a 30-minute class to a 40-minute one, in order to maximize the workout. And it is an intense workout, lying somewhere between Cardio Peak Training and High-Intensity Interval Training. 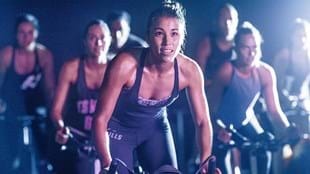 A recent preliminary study by the Auckland University of Technology found that riders will burn up to 790 calories per session, placing it between RPM™ and LES MILLS SPRINT™ in terms of energy spent. 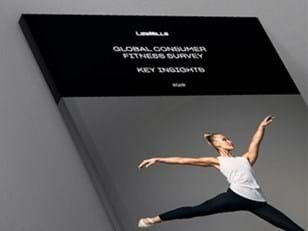 Finding the right mix of motivational and physical elements was a complex process, according to co-creator Les Mills Jnr. To begin with they were concerned that a full-screen immersive experience might be overwhelming for some people, and that the projection might be limited to the studio ceiling. Unlike a conventional cycle class, the instructor faces the screen with the class, and this has turned out to be another key component, along with the minimization of technical language in the classes.